Download and print the order form (using Acrobat Reader) or contact us and we’ll mail or fax an order form to you. Read the instructions on page one. Follow them and fill out the form completely. 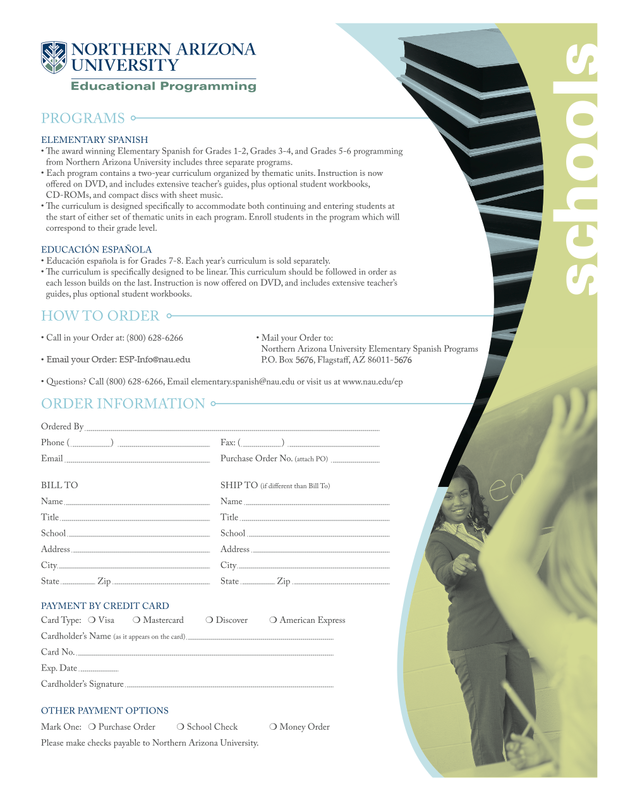 Return the order form with your school purchase order/check. Includes site license for purchasing school, one set of videotapes or DVDs, and one teacher's guide. Please indicate clearly on the order form whether you want DVDs or videotapes. We offer both Units 1-5 and Units 6-10 for purchase during any time of the year. However, please note that every spring we offer a 5% discount on orders for the coming fall. Order forms must be received by June 30 to qualify for this discount and shipping will take place in late August.